Formed in 2007, the Orava Quartet has been supported in its early development by organisations and trusts that recognised and believed in their potential, and rallied to help these four young Australian musicians take each step together, towards their dreams. One of these dreams was to perform not only in Brisbane where they are currently based, but Australia-wide, as well as overseas. While festivals and most larger concert presenters are able to cover the Quartet’s considerable travel costs, some, particularly regional and community groups, do not have the funds to fly and transport four adults and a cello interstate, in addition to accommodation and other costs. In an increasingly hectic world, it is hard to underestimate the power and beauty of a live performance, to make us stop, be still and be momentarily transported to another world. And it’s important to support both the opportunities that allow this to happen, whether in metropolitan centres or regional communities, as well as the artists dedicated to bringing this momentary peace or excitement into our daily lives. 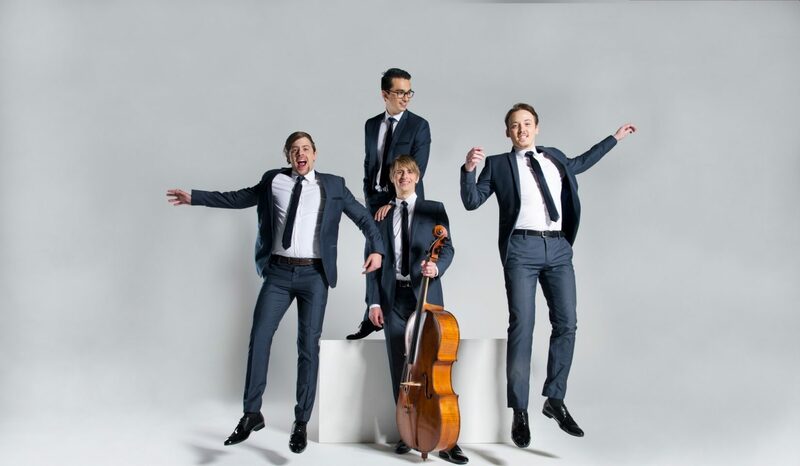 In 2019 the Orava Quartet have been invited to perform at an overseas festival, and in at least 12 Australian concert venues or series where they have not performed before. They also look forward to returning for concerts in Melbourne Recital Centre’s Southbank Series. They would love to be able to accept all concert invitations as they build their national and international profile, and need your help to do so. All of Orava’s performances and touring activities will be shared on their website and social media, and we would welcome direct conversations (by email, phone or at a concert) with any donors keen to discuss how they would like their contributions to be used. Our door is always open! The Orava Quartet has been hailed by Limelight magazine as “the most exciting young quartet on the block” and predicted by The Australian to become “one of Australia’s proudest cultural exports.” Earning a reputation and devoted following for their genuinely thrilling performances, the Quartet – brothers Daniel and Karol Kowalik (violin and cello), violinist David Dalseno and violist Thomas Chawner – bring their unique sound and breathtaking intensity to the classics of the string quartet canon. 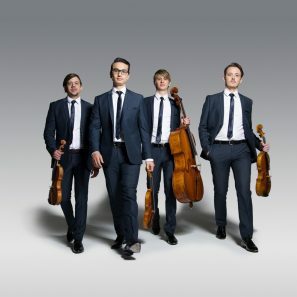 Selected by Deutsche Grammophon for its historic, first Australian recording release in 2018, received with widespread critical acclaim, Orava Quartet has performed throughout North America, the UAE, and Asia, working closely with the world-renowned Takács Quartet in the USA and winning top prizes at the 2013 Asia Pacific Chamber Music Competition. Brisbane-based, Orava Quartet performs at venues and festivals including Sydney Opera House’ Utzon Music Series, VIVID Sydney with Sufjan Stevens, New Zealand and Melbourne Festivals, Melbourne Recital Centre, Musica Viva, Canberra and Queensland Music Festivals. Praise for their live performances includes “gut-wrenching” (ArtsHub), “masterful” (Dominion Post) and “a beauty” (SMH). THANK YOU to all our generous supporters, who have allowed us to reach our target much sooner than we hoped. All additional funds will go towards recording our second album, for 2020 release!